Hakatai Enterprises is a glass tile importer and distributor with the resources to handle any glass tile project regardless of size or complexity. Our experience means consistent product availability, quick turnaround time and immediate responses to inquiries regarding stock levels, pricing and freight quotes. Our goal is to provide service that meets and exceeds your needs. Hakatai.com makes it easy to buy glass tile online. 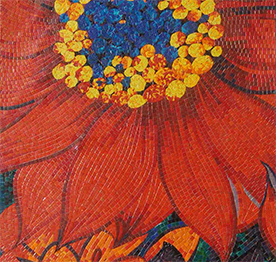 Home owners, dealers, designers and artists appreciate our various glass tile product lines; stocked standard blends, stocked standard mosaic gradients, and classic standard colors, all of which are suitable for a wide variety of applications. Keep up with today's trends and tomorrow's fashions with our extensive color palette and unique selection of products as well as our in-house capabilities to create eye-catching custom designed glass tile installations. 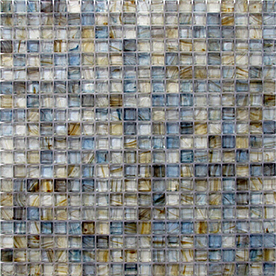 Hakatai's glass tiles are found in hotels, spas, homes and murals around the country. Visit our glass tile installation photo gallery; you'll find visual inspiration for any project. Reinvigorate a bathroom with a colorful glass tile blend or create a contemporary look for tub surrounds, vanity tops and shower walls. Modernize a kitchen with a glass tile backsplash or countertop. Customize a restaurant wall with a striking mosaic design. Hakatai's mesh-backed, paper-faced or film-faced tile, makes for a quick and efficient installation process. 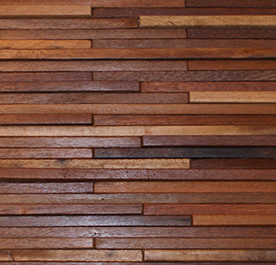 Create, price and order a custom glass tile blend or gradient online! 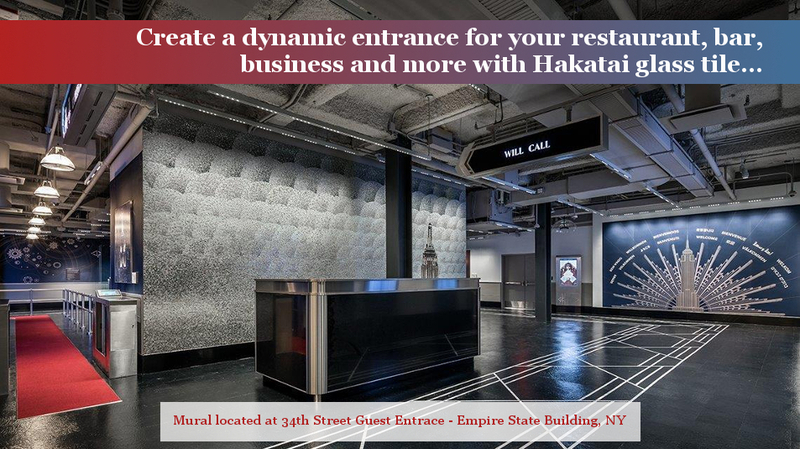 Hakatai offers interactive tools to blend tiles and design custom gradients that let you create the perfect look for your space. Choose from the Ashland-e, Aventurine, Classic, Luster and Pastille series. Mix and match glass tiles in any combination to create your own unique color scheme. Each sheet is clear film-face mounted for easy installation.